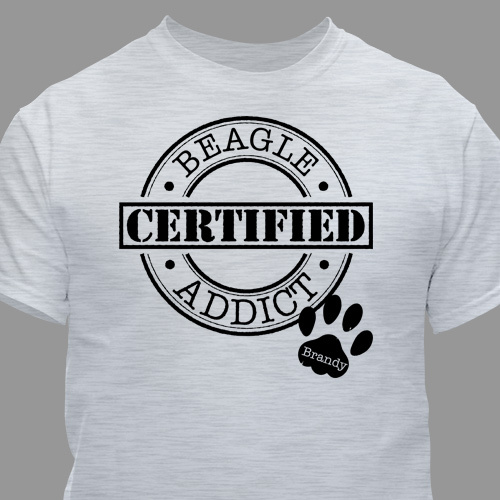 You wouldn't be the first person to admit that you're addicted to the love your dog gives you, and these Personalized T-Shirts are made specifically for people like you! Pick the dog breed, add your pup's name, and show everyone just how much you love your favorite family member. This Dog Breed design is available on our 100% cotton preshrunk Personalized Shirt, machine washable in youth sizes XS-L and adult sizes S-3XL. Free personalization of your dog breed and name is included. 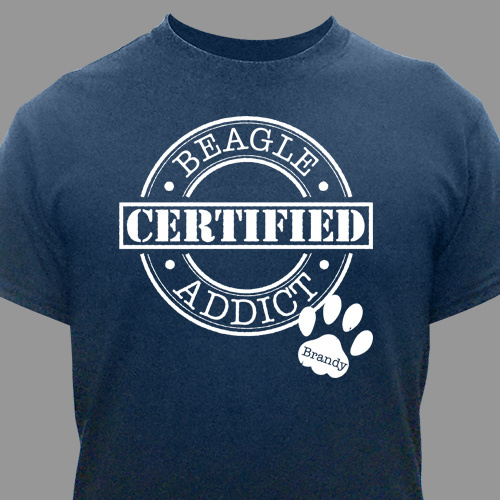 Additional Details Give this t-shirt as a personalized gift to any self-proclaimed dog lover on your shopping list. There's nothing people love showing off more than their pets, and this t-shirt will allow them to do so in style. Our Personalized I Love My Puggle T-Shirt is another design from our dog breed line!